In the digital age of the recording everything, video marriage proposals are all over the web. Some good, and some AMAZING. 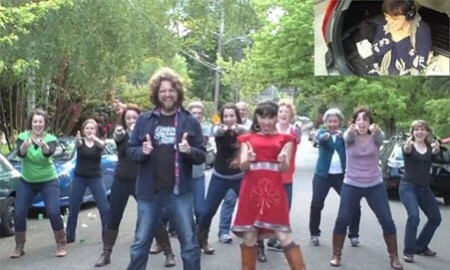 Portland couple Isaac Lamb and Amy Frankel made You Tube history last week after his choreographed proposal went viral. Featuring the Bruno Mars’ song “Marry You,” the proposal shows every reaction from the bride who was recorded as almost 60 friends and neighbors lip-synched and dance to the music. Isaac, an actor, told NBC’s “Today” show that this was nothing out of the ordinary for him. After your engagement, visit Marry Me Tampa Bay for local wedding inspiration! Marry Me Tampa Bay exclusive: Save 10% off orders of $99!